Upgrades the Mirage Drive with new fins and masts to increase the surface area by over 10 percent. 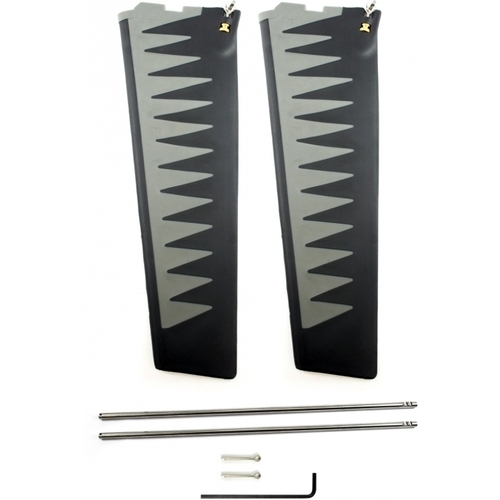 Hobie Mirage kayak users report as much as a 10% increase in speed and more using ST Turbo Fins. But its not all about speed, you can get top end speed and a slower cadence for cruising (Less pedals per mile). All achieved with this larger and more efficient fin design. The longer fins can also increase lateral resistance for sailing upwind. The ST (Square Tip) designs will require a bit more effort to pedal.